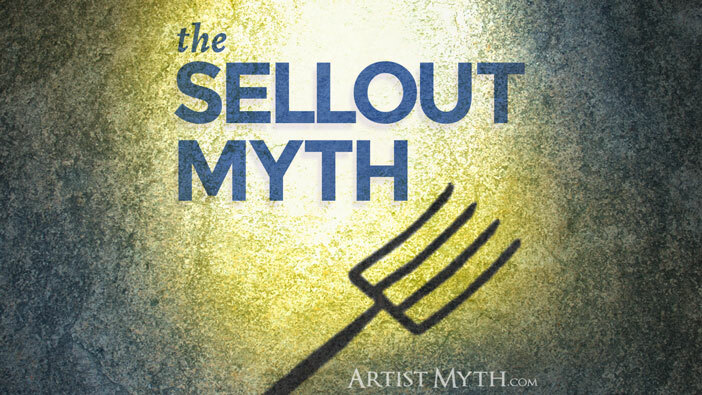 There are few concepts more destructive to an artist’s ability to have a sustainable business than the Sellout Myth. Unfortunately, many artists who have legitimate, wonderful, inspiringly original gifts to share with the world are held back from sharing them by the fear that they will receive this accusation. The outcry of “selling out” has its basis in the concept of compromising core values for some kind of compensation, which is usually monetary. For an artist, those core values may have to do with their stated theme, a central message, or even their creative style. These are formed early in an artist’s career, when passions are high and the artist doesn’t have much to lose by embracing them. However, at some point every artist who chooses to become professional has to reconcile these ideals with the practical aspects of commercial viability. Some artists escape direct commercialization of their product by staying in the academic world, receiving fellowships or grants. Others may be able to find provision in other ways, but for the vast majority, they will need to make stuff that people will buy so that they can receive a paycheck. And this is where the problems begin… because while many people comprehend the message in an artist’s work, they don’t understand the business or process of making the work. Who Is Most Vulnerable From This Myth? The most vulnerable to the sellout accusation are the ones who are especially sensitive to criticism of any form. Their art is a fragile thing, and fear keeps them back from achieving their potential. Also vulnerable are the ones who receive very little support from their friends or family. These are the starving savants who are like beautiful flowers springing up out of the dry desert who, without legitimate support, are likely to wither away. They give in to the pressure to sink into mediocrity, settling for not fulfilling their creative destiny. Just imagine… how many prospective Picassos are out there with amazing potential to bring their unique vision to the world, only to be held back by the fear of being branded a sellout? In the following statements, I aim to present a comprehensive case as to why the “Sellout” accusation is false… and why it is to be completely, utterly ignored. My ambitious plan is that this will expose these false accusers and render them powerless, allowing artists more freedom to do their work. Maybe you, dear reader, are one of those creatives who is on the cusp of something great… something game-changing that makes the rest of us stand up and see the world in a new light. I know you’re out there. And if you’re held back by the fear that you will be cut down the moment you expose your work, please let these words sink in and change your thinking. – Sellout Accusers Are Not Your Real Fans. Some would say that “real” fans are the most passionate, the most vocal, and the most influential. In my opinion, the real fans are the ones who vote with their dollar. That’s right. Money talks, B.S. walks. Think about it for a moment… it goes without saying that an artist deserves to be supported. But if an artist’s fan doesn’t give them support, then who will? Before you think I’m all about the money, think for a moment what it takes to support an artist: the current average salary in the United States right now is fifty thousand dollars a year. That breaks down into a monthly total of $4166, or $26 per hour based on an eight hour a day, five day workweek. 100 fans to pay $41.66 per month. 500 fans to pay $8.32 per month. 1,000 fans to pay $4.16 per month. 10,000 fans to pay .41 cents a month. Keep in mind that there are always expenses and taxes and stuff like that, but those figures don’t sound like too much to ask, do they? – Sellout Accusers Are Ancient History. In this interesting Gawker article, it is proposed that the sellout accusation has lost its power in the current age. This is because art and advertising, due to technological advances, are now so tightly integrated that our culture mostly accepts corporate messages as part of the aesthetic experience. Maybe one reason is that while there are more fragmented advertising messages coming at us, we are often given the power to choose. My eleven-year old daughter used to groan in exasperation when commercials came on television. She wasn’t used to her media being drip-fed in a constant manner like that, without being able to select what she wanted. But I recently observed that while watching YouTube videos on her iPad, she seemed to accept the short ad that came before the video and patiently waited for it to end. Maybe it’s because the ad is shorter than on tv, but I think it’s because she knew she could click off that and immediately look at another if she wanted to (and sometimes she did). She felt she was ultimately in control of the experience. In any case, the intertwining of art and commerce have dulled, if not rendered completely impotent, the cries of the sellouterati… they can no more separate the two than you can separate oil and water after it’s already been poured into a container. While people can clearly see the difference between the two, they tend to just accept it. – Sellout Accusers Have Nothing To Lose. Because they are not artists themselves, and they are not direct beneficiaries of your success, sellout accusers have nothing to lose by lobbing stones over the wall at you. They are fully protected in their anonymity and irrelevance. In fact, they feel like they gain something by doing so. The phrase “misery loves company” comes to mind. They will often gather a water cooler crowd that agrees with them, because it’s much more fun to tear down a successful person than to support them. And in doing so, they sacrifice the long term joy of following and supporting an artist through their career… for the short term affirmation of a nodding group of sycophants. – Sellout Accusers Are Wishy-Washy And Unpredictable. When you look around at examples of sellout accusations, you will quickly discover that there is no standard. Is a sellout someone who compromises their core values for mass market appeal? Or is a sellout somebody who just makes more money than I do? These two are extremes, and there are many shades in between the two. A fascinating read is the term “sellout” on the urban dictionary, found here: http://www.urbandictionary.com/define.php?term=sell+out. When you skim this entry, which contains posts reflecting a wide variety of opinions, you will quickly find that nearly all of them adhere to a different standard of what a “sellout” is. Vague definitions should never prevent you from making your magnum opus. They certainly are nothing stable to base your artistic pursuits on. My advice would be to focus on the positive words of supportive fans instead. Those are the ones who will be much more attentive to your creative explorations, and will gladly give you inspiration when you need it. – Sellout Accusers Don’t Understand Your Art. Not only do they not understand your art, they don’t care to. If they did, they wouldn’t put you in a box. They would allow you to explore, to make mistakes. You will have a contingent of fans that will be with you through thick and thin, who will always follow through whatever period you are working through. Those are the ones who are more precious than gold… because they aren’t just about the end result of the art you produce, but they are about you, the artist. Sellout accusers are not in this camp. They profess to understand your motives when they really don’t. Instead, they prefer to twist your motives and message to be what they want to perceive them to be. – Sellout Accusers Are Hypocrites. Turn the tables back on them… how would they like it if someone else demanded they take a pay cut, or no pay at all? How do they earn enough money to live on? What if you told them they shouldn’t accept their paycheck because of philosophical reasons? They would tell you to mind your own business, and they would be right. It’s amazing to me why people impose standards on others that they don’t expect for themselves. It’s as if somehow the fact that you dared to put your work out in the public eye makes it okay to publicly berate you. – Sellout Accusers Are Motivated by Negative Emotions. I have a theory about chronically offended people… they are emotion vampires who feed off of controversy and hate. Unfortunately, success attracts these kinds of individuals. And, I think, creative success in particular – because they don’t understand what it takes to make your art, they think it’s easy. This accusation is entirely based on the negative emotions of envy and jealousy, and are not to be paid any heed. Passion is a fickle muse, and it will turn on a dime. That passionate fan who foams at the mouth at your early work is just as likely to condemn everything you did after it. Who knows why? Maybe they associate your first album or a particular painting with the glory days of their carefree youth, and your recent creative effort failed to elevate them from the misery of the deadbeat job or relationship they’re currently in. It may not even be about you… it may be about the genre you are in, or your style. – Sellout Accusers Don’t Really Care About You, Only Themselves. While everybody ultimately tends to say things that further their own interests, whether consciously or subconsciously, there is a difference between people who acknowledge the talents of others and people who are just ruthlessly out for their own ends. Many people who cry “sellout” have a personal emotional connection with the artist, which is completely understandable. But in same way an over-obsessive boyfriend or girlfriend may turn against the object of their affection, that same emotionally attached fan can turn on the artist. This is because it’s not really about the artist, but how the artist makes them feel. While you should focus on your audience and their needs, it’s fair to expect some reciprocation. And it’s completely reasonable to expect some wiggle room to explore your artistic horizons and get paid (even get paid well) without being condemned for it. – Sellout Accusers Don’t Really Matter. 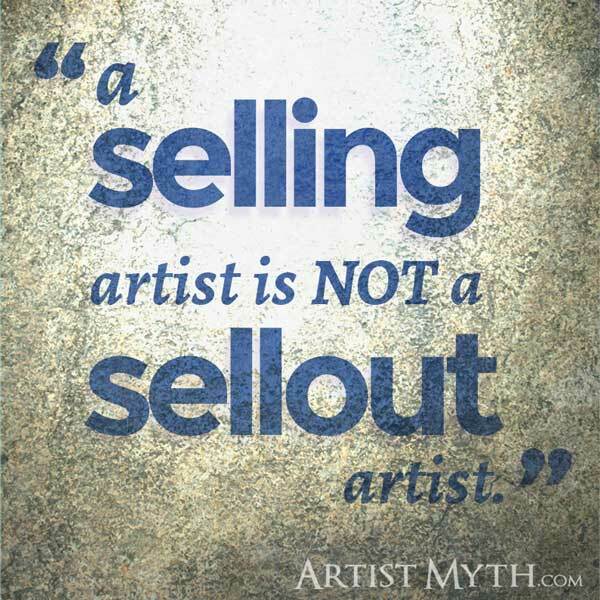 Those who call you a sellout don’t have an effect on your creative career… unless you give them power over you. They are not your intended audience, just vocal mouthpieces interested in their own goals. A basic statistical analysis of the people who vocalize the sellout accusation will reveal that they are in the vast minority. While they can be very persuasive-sounding, in reality they do not often reflect the average fan’s opinions. People who may be seen to carry any kind of weight are published critics; even then, they can’t throw too many stones from their glass house, because even their hypocrisy can only go so far. Anyway, many critics actually generate free publicity for an artist the more they criticize, so it can even help. The only real danger they present is if you let them keep you from making your art. So Is There Such A Thing As Selling Out? Is there any validity to the sellout accusation? That’s really up to you, the artist. Most artists want to come from an authentic place. After all, passion and emotion are essential to the creative process…and professional acting aside, it’s tough to fake that day in and day out. So we can say that it’s important to try to adhere to one’s ideals. We can also say that it’s important to stand up for those ideals, even fight for them when necessary. I can say from experience, though, that fight is often lost. Does losing that fight make one a sellout? Does the jilted artist “sell out” if he doesn’t get his way, threatening to quit the job and walk away from a needed paycheck? Few people understand, especially in a commercial and collaborative project, the compromises that have to happen along the way. And a project that has even remote aesthetic appeal has it because an artist fought tooth and nail for it. And they hopefully kept got paid for it and will continue to be paid so they can live to fight another day. So let the witch hunt continue, and ignore the torches and pitchforks. You’ll find that when you do, like Boogeyman stories from childhood, they eventually lose their power. Ultimately, the real measure of whether an artist is true to their ideals comes from within the artist. Artists deserve to be compensated for their work. Artists are just as deserving of wild and ridiculous success as anybody else. Artists should be given the freedom to explore their creative boundaries. Artists who choose to go pro need to develop a thick skin to resist criticism. Artists need to develop the maturity to tell valid criticism from meaningless accusations. Don’t let the accusers (or the needless fear of accusers rising up out of nowhere) affect your ability to grow and develop as an artist. Realize their power is only what you give them, and that in the grand scheme of your art they have very little actual bearing on your career. Finally, continue to fight for your artistic convictions… but also know that it’s okay to let them grow and develop as you seek to earn a living, even if that looks like compromise. Know who your real audience is, and know when it’s time to seek feedback from them. 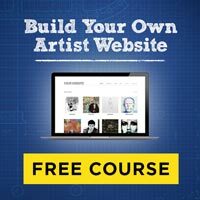 Continue to develop your personal value proposition and your artist statement – these give you a solid foundation. Have you ever felt like a sellout? Why? Does it affect your ability do do your work, and to seek fair compensation? Share your thoughts and experiences in the comments below… by airing these thoughts and fears out we can help each other as artists get past them.